The idea for Trump 101 started with a group chat among four friends but soon after manifested into a real production. 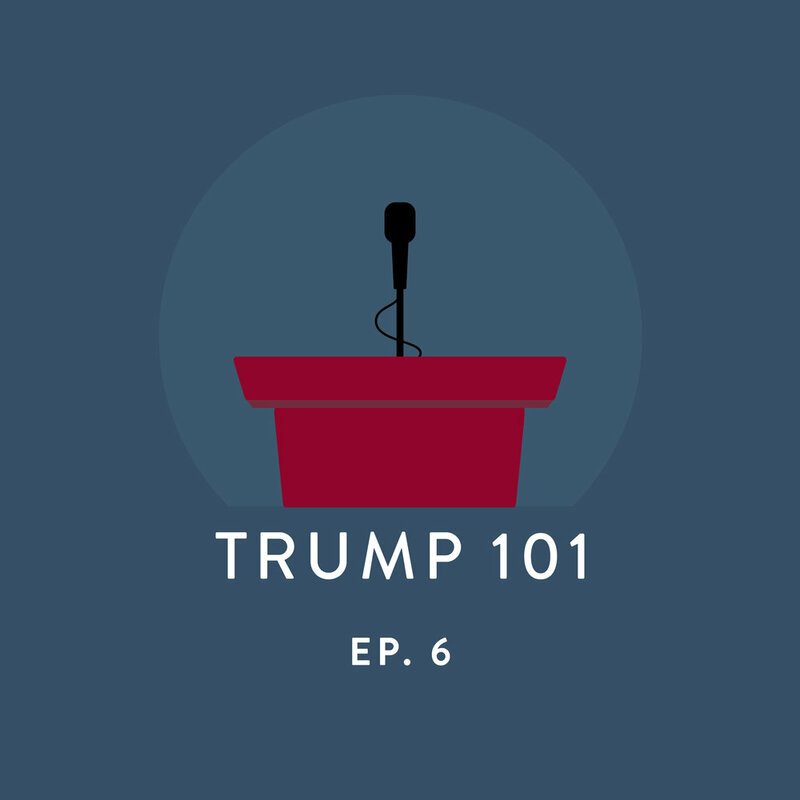 Trump 101 podcast is dedicated to sharing stories of university individuals who are affected by President Trump administration. Independently, our team conducts interviews, records, and edits audio for the weekly podcast. I am the Co-Founder, Sound Engineer/Producer, and Online Editor for Trump 101. I am responsible for mixing and editing audio, and building and managing the website www.trump101podcast.com. Subscribe to us on iTunes. Follow us on Twitter. Trump 101 graphic designs by Tin Dinh. Team photos by Cyrus Tolentino. Darwin Velasquez is a senior at the University of San Francisco and originally from El Salvador. His family left El Salvador when Darwin was 12, fleeing gang violence. Darwin is one of the 860,000 people using the Obama-issued Deferred Action for Childhood Arrivals (DACA) to stay in the US. Darwin’s future in the US now depends on President Trump. President Trump campaigned on retracting DACA, but has since softened his tone towards DACA recipients. Darwin is still unsure of what he will do when he graduates in December. Julia Aziz is a junior business major at the University of San Francisco (USF). She was born in the United States, then moved to Damascus, Syria at two years old. While Julia, her father, and her sister have joint U.S.-Syrian citizenship, her mother and brother are citizens of only Syria. On March 6, 2017, President Trump signed a newly revised executive order, which still prohibits the entry of Syrian refugees. Upon graduating from USF, Julia hopes to return to Syria if she can use the skills she has learned as an undergraduate to improve the country and create change. In this episode, we speak to University of San Francisco President Fr. Paul J. Fitzgerald, S.J. We discuss the impact of the Trump administration on the university community, and how the university plans to address it. This week we sit down with Avi Singh, a student at the University of San Francisco who voted for and supports Donald Trump. We discuss political atmospheres in universities and the importance of truly open dialogues. 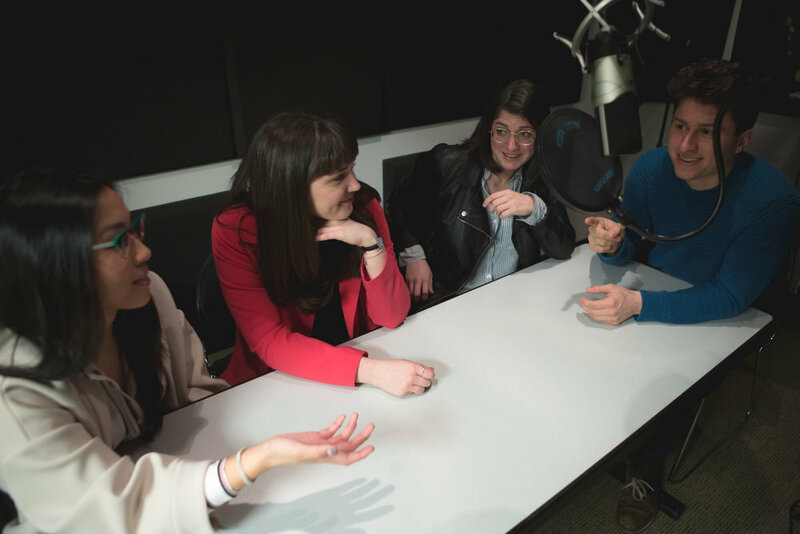 This episode is a finalist for "Best Podcast" in the 2017 National Student Electronic Media Contest by College Broadcasters, Inc.
Aaron Clark and our own Ali DeFazio talk growing up LGBT in two different countries. In Kuwait, Aaron faced conversion therapy, but also times of acceptance. Listen to what Ali and Aaron think on LGBT rights under the Trump administration. Are safe spaces necessary? Has PC culture gone too far? For the season finale, we get into the gritty with a debate between president of USF Queer Alliance, Grace Berg, and member of Young Americans for Liberty, Zac Harvill. We originally shared this debate as a Facebook livestream video on Tuesday, May 9 at 11:15am. Click the photo to view the post on our website. With cancelled rallies in San Francisco and protests in Berkeley, the Bay Area had quite a weekend. This week's episode looks at what unfolded this weekend with Patriot Prayer in SF and protesters in Berkeley. Listen to what exactly happened from reporters who were there and hear how students and campus-organizers are reacting to freedom of speech conflicts. Fake news has become a buzzword of sorts. This episode of Trump 101 dives into the middle of it. We show college students fake news stories to see if they can sniff out fact from fiction. We had Teresa Moore--a journalism professor, former San Francisco Chronicle reporter, and all-around news expert--help us break it all down. Education Secretary Betsy DeVos is trying to change an Obama-era policy concerning Title IX with the belief the policies were overreaching and the accused were not given equal treatment. We brought on Lara Bazelon, an associate professor at the University of San Francisco, to explain why she supports DeVos' policy changes, and why colleges are not equipped with handling sexual assault cases. More of Bazelon's work can be viewed larabazelon.squarespace.com/overview.